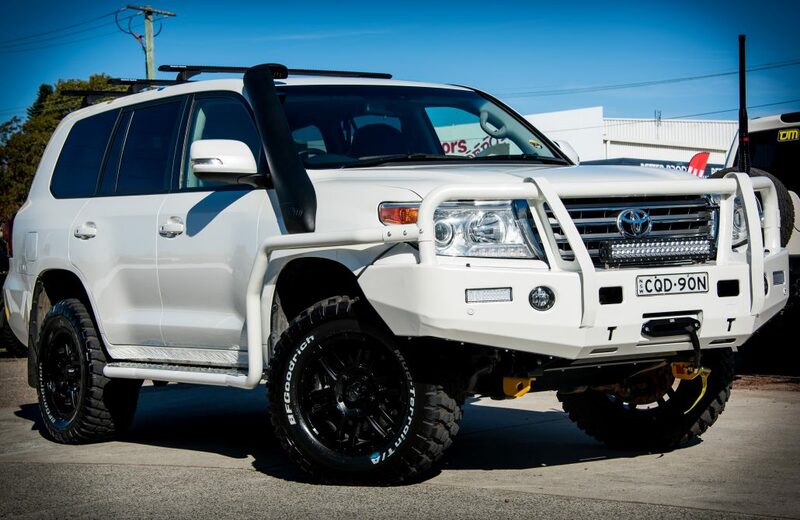 There’s not much out there on the market than can rival the 200 Series Landcruiser as a touring vehicle. The large, powerful V8 diesel wagon has a seemingly endless list of accessories available. Our customer Mark jumped on board when one came up for the right price and then sent it to us to go to town on this tidy Pearl White example. We fitted this 200 Series out with the TJM T13 Outback bull bar, brush bars and side steps. 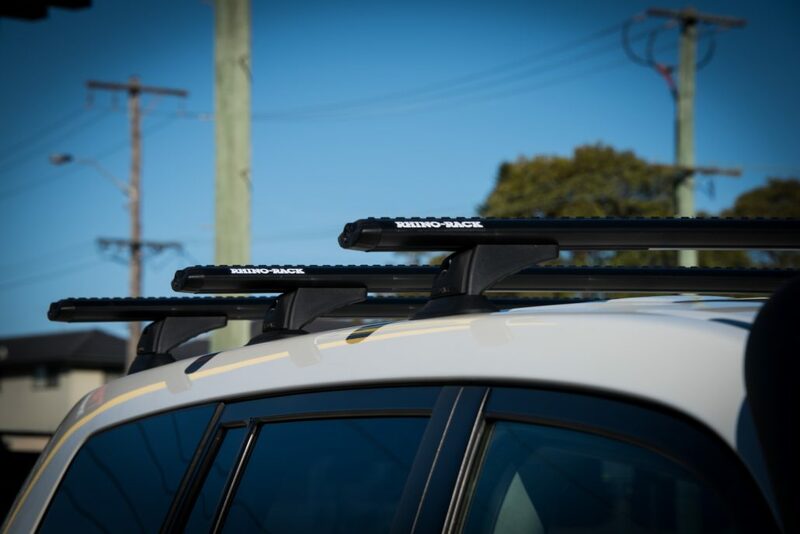 The bar work features 63mm tubing right through from the bull bar to the steps and gives the 200 plenty of protection against things that jump out from the shadows. The bar work has also been colour coded to match the pearl white paint scheme of the Cruiser. 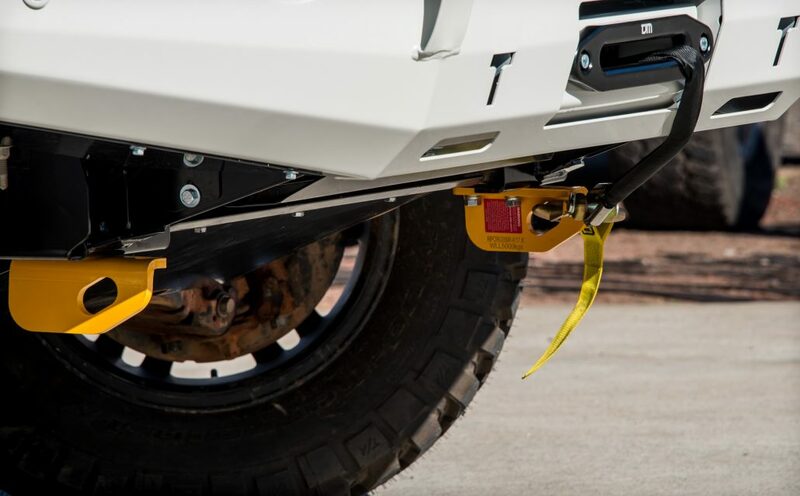 There’s also under body protection for the big wagon – another item from TJM giving the sump 3mm of heavy duty protection off-road. 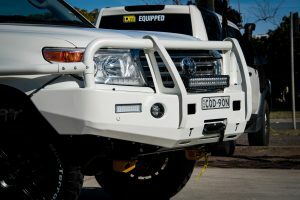 The bull bar also housed a TJM Torq Black Winch which is a 9,500lbs unit with synthetic rope and wireless remote to take care of any recovery duties required and there’s a set of heavy duty rated recovery points by Roadsafe to assist with equalising any snatching forces on the vehicle. 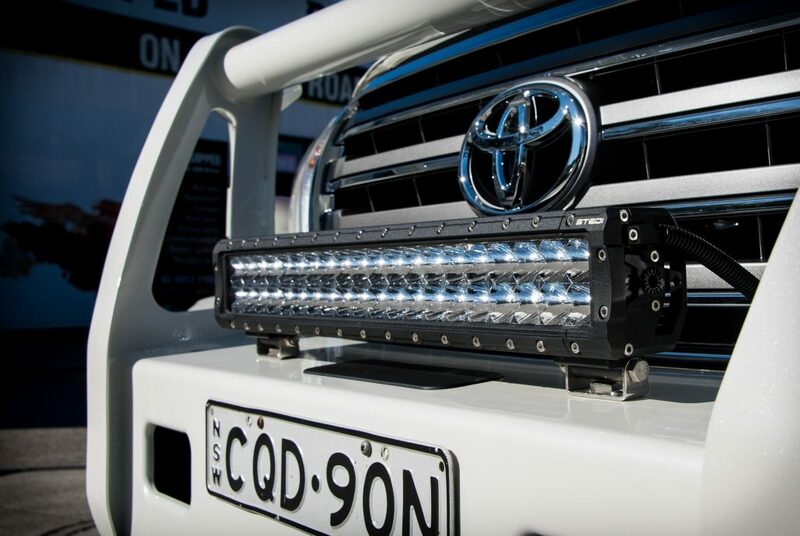 On top of the bar base also sits a Stedi 22″ double row light bar which gives a great combination of spread and distance. There’s a TJM Airtec snorkel fitted to the vehicle feeding cleaner, cooler air into the intake and this compliments the existing performance module and the Torqit performance exhaust which is a twin 3″ into single 4″ stainless steel system which gives this 200 an awesome note. 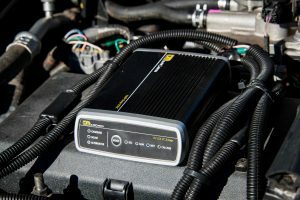 Other under-bonnet accessories include a dual battery system using the TJM 3 Stage BCDC charger and 100 A/hr deep cycle battery to take care of power needs while touring and camping. This big rig is riding on Fox 2.0 Performance shocks, TJM coils and is running a Roadsafe Diff Drop kit and Blackhawk heavy duty upper control arms. 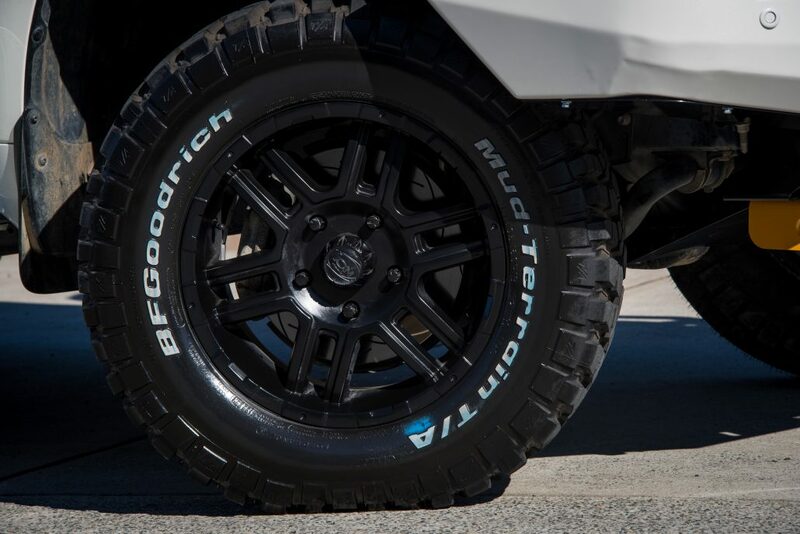 A set Ion 179 rims measuring 18×9″ and BF Goodrich KM2s measuring 305/60R18 gets the power to the ground. 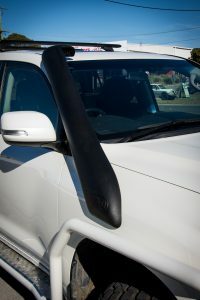 Communications are handled by a Uniden 9080 UHF radio and GME AE4704B 2.15dBi antenna and there are a set of Rhino Vortex Aero bars fitted for extra load carrying capacity. There’s also a Redarc Tow Pro Elite to take care of trailer braking. The customer has some big touring plans for the 200 so I’m sure we will see this big white wagon popping up somewhere covered in red dust.